Marriage is still a valued institution in contemporary times. While marriage might not be for everyone it still remains a critical component of social stability, relational commitment and family strength. 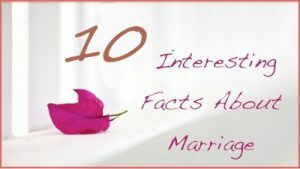 Here are some facts about marriage that will help to explain how people view marriage in modern times.